I always say you’ve only got one life to live, and you’re not promised a tomorrow. So, you might as well just have a good time with it. I want to do all types of music, music for all people. I want my music to be encouraging, to help people. I like to play dress up, I’m in love with fashion. I’m very soulful. I grew up singing in church. When I sing a song, I like to feel what I’m singing. My lips are big, but my talent is bigger. When I’m out on the stage, it gives me this rush and anything that’s on my mind and everything I’m going through is forgotten about. I been through some things but I worked hard to get to where I’m at. ‘Cause when I had my child, people tried to make me feel like life was over for me, and I started to believe that. It’s always good when you can bring two artists together who are totally different. You’ve got to make it a good example for those kids regardless of how much you mess up. I want people to just to see, all you got to do is have a little faith. I seemed so different from other kids; I grew up in church and felt a connection with God, and a lot of kids my age really didn’t understand that. When I realized I was having trouble reading, I was too embarrassed to ask for help. Some teachers believed in me, but I just wasn’t focused on school – I was into the music and trying to please my dad. Have a little faith. Don’t give up. I wanted people to see me, to change their minds about me. I want to still be singing at 70 years old. I want to be open to the dreams I haven’t even dreamed up. I’ve never been in a competition before, and I said I’m going to go. I think – I just love to sing. Fantasia Monique Barrino was born in High Point, North Carolina, USA. She is an American R&B singer. She rose to fame as the winner of the third season of the reality television series American Idol in 2004. She released her debut album, Free Yourself, which went on to be certified Platinum by the RIAA and garnered Barrino three Grammy nominations in 2006. 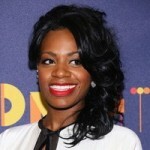 In 2006, she released her second album, Fantasia. The album was certified Gold by the RIAA and received three Grammy nominations in 2008. Her third studio album, Back to Me, was released worldwide on August 24, 2010 and features the single "Bittersweet," which peaked in the top ten on the R&B chart. The single won her a Grammy for Best Female R&B Vocal Performance. Her songs list shown below: "I Believe", "When I See U", "Bittersweet", "Lose to Win" , "I'm Here", "Side Effects Of You", "In Deep", "Without Me", and "No Time For It".